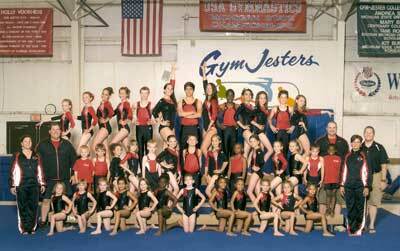 Jr. Trainer selection begins for boys and girls at age 6. Evaluation is needed for placement in these groups. We have an excellent coaching staff which works as a team with all age levels. Private instruction is available. We have two choreographers.The team member is making a commitment to be present, work hard, and perform to the best of their ability. Parents are encouraged to allow the coaches to coach, while providing the much needed support from home. 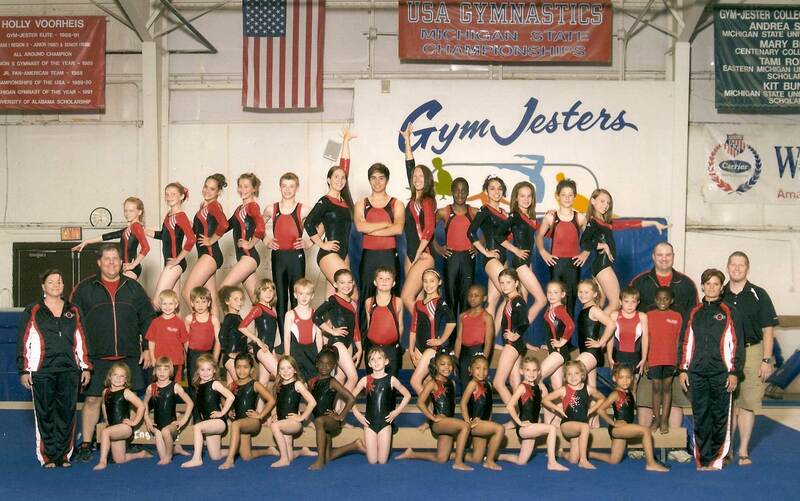 Over the years our teams have produced champions in USGF, USAIGC, and AAU state, regional and national competition. A number of young women have received college scholarships. Holly Voorheis was a USA National Team Member and competed in the Championships of the USA as an Elite gymnast.